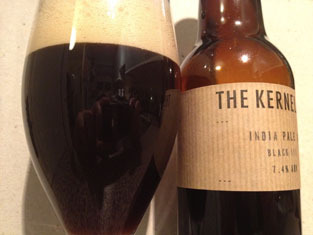 Beneath its luxuriant beige head, Kernel IPA Black III is darkest brown rather than black, but don’t tell Trading Standards. They’d be too concerned about the pale-black oxymoronic dichotomy anyway. It’s all caramel and pine sap up in the nose. Difficult-to-pin-down citrus flavours appear early on, supported later by burnt toast and a hint of chocolate spread. There’s dryness in the finish, but the hop character is subtle, and obscured by the sweet elements. January always sees a flurry of beer blog entries and articles covering the authors’ thoughts around what will happen in the beer industry over the next 12 months. This is completely and totally natural, as it’s effectively hard-wired into the human brain to try and predict what is to come. It helps us organise our lives and comforts us that the world is essentially predictable and not a chaotic place filled with uncertainty. And it’s not just on a personal level – forecasting is hugely important in business. Whole industries and complex financial derivative products are reliant on it as a skill. Unfortunately, we are very, very bad at predicting the future. 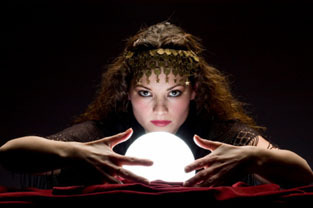 Because from fortune-tellers to politicians, people who get predictions wrong are rarely called out on them. No-one keeps track of wrong predictions. The predictions that generally get remembered are the wild, crazy ones that come true – like those from the economists that predicted the 2008 crash (they never stop smugly harping on about their sagacity in fact). The ones that were mundane and right get forgotten, well, because they were obvious, weren’t they? The forecasts that were mundane and wrong get forgotten because usually lots of people predicted them (so no individual accountability) and, well, predicting the future is impossible, isn’t it? With the above in mind, I’m going to make my key beer predictions for 2012 below. A black IPA seems like an appropriate beer to be consuming while I do this, as I feel it is the beer world’s black swan – and not just because of its colour. I reckon no-one saw this beer style coming and people are still trying to rationalise its existence through hind sight (see the ongoing Cascadian Dark Ale vs BIPA debate). Also, its name makes no sense. A growing craft beer market comprised of drinkers thirsty for bigger, more complex flavours leaves microbreweries with only one realistic commercial option: to brew sour beers in the style of their Belgian continental cousins. Many experiments fail, much beer is poured down the drain and the majority of brewers abandon the style. However, a number of breweries persevere. The discovery of a new viable strain of airborne bacteria found only in a tiny micro-climate on the banks of the Thames sees London Sour emerge as a distinctive style. A combination of bizarre UK tax structures and the end of The High ABV Wars sees a new battleground arise: ridiculously-complex, low ABV beers. Brewers compete to develop palate-assaulting beers within the crippling restrictions of low gravity. Politicians applaud the initiative and congratulate themselves on the success of their economic policy. 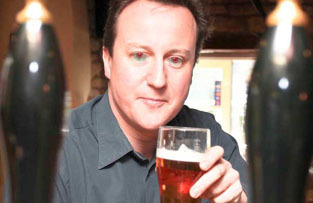 David Cameron is photographed drinking a 0.08% IPA in Hertfordshire.